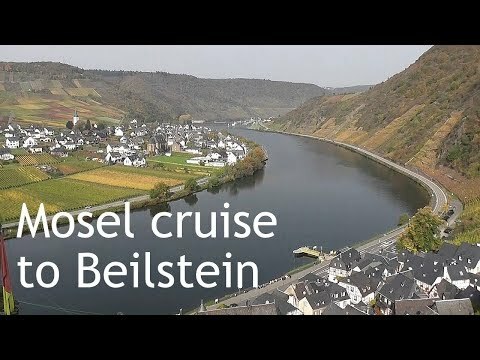 Cochem is point of departure for a Moselle river cruise to the small village of Beilstein (4:27), Germany. Towering above Beilstein are the ruins of Castle Metternich. The hillsides of the river Moselle (German: Mosel) are covered by terraced vineyards where some of the best Rieslings grow.